Un petit peu de purr blanc SVP. 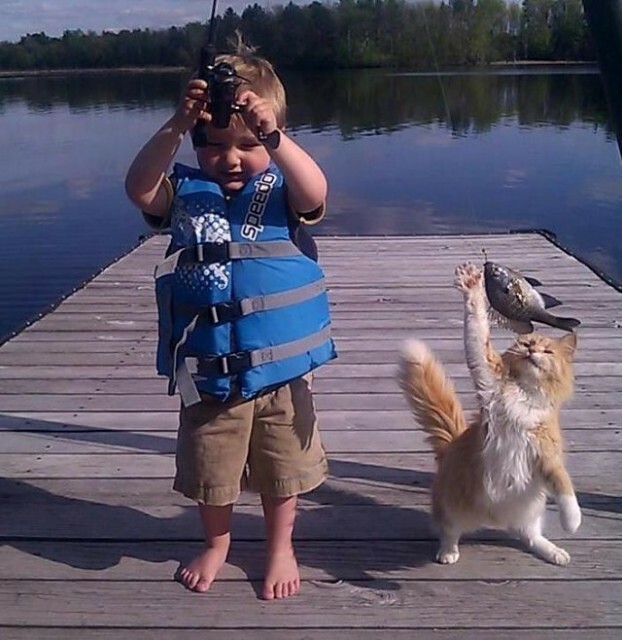 doing Cat like a BOSS…..
Is that toddler cat fishing? Disclosure – I thought that cat fishing was fishing for catfish, but I hear it means something else. I’m going with the cat fish thing, though.